Trade talks are over for this week, and now it’s clock-watching time as the U.S. and China have just about six-and-a-half more weeks to settle their differences. While the market seems to have a positive tone early on, one note of caution is that there’s still a lot to get done in a short period. This week’s talks didn’t conclude with any major breakthroughs, but words from both sides make it sound like the discussions were constructive. The fact that an extra day was added might be a sign that negotiators were making some kind of progress. U.S. negotiators told the media that the talks went “just fine,” while China called the talks, “serious.” Probably no one expected anything really significant to come out of these meetings, so just hearing a positive tone appeared to give investors some confidence. However, the hope is that more progress can be made pretty quickly, because it’s unclear how much longer the market and the economy can handle this big gray area on trade. The extra day was a great sign that the two sides seriously want to get something done, but let’s see if they build on that quickly. With the trade talk drama over for now, anyone seeking more drama might get their fill this afternoon when Fed minutes for December hit the tape, possibly offering more insight into the recent rate increase. At this point, the futures market indicates that could be the last hike for a while, but, as noted below, the Fed itself might not be perfectly aligned with market anticipation. One thing to consider looking for in the minutes is any talk about specific signals Fed officials might be watching as they plan strategy. The Fed has said it would be data dependent, but do some data matter more than others? How can the Fed walk the tightrope between struggling emerging markets and a U.S. economy that still seems strong for the most part? Maybe the minutes can provide some clarity. It might also be worth checking the minutes for any discussion about balance sheet reduction. Fed Chair Jerome Powell appeared to help send stocks lower the day of the meeting when he indicated that the Fed wouldn’t change its policy of reducing the balance sheet, a strategy that could theoretically lead to higher interest rates. Then last week, Powell offered a refresh, saying the Fed would tweak the balance sheet program if necessary. All that said, it seems unlikely that the minutes will show investors a lot that they don’t already know, but it never hurts to take a look. The Fed could be in the news even before minutes get released, as several Fed speakers have speeches scheduled earlier today. Also in the news: No word of progress on the U.S. government shutdown. However, the president has invited congressional leadership to the White House today, media reports said. If progress does get made, there’s a chance it could provide a boost for the market, mainly because Wall Street dislikes uncertainty. However, the current shutdown seems to be providing more evidence that shutdowns don’t typically have much negative impact on the stock market. Tuesday marked the third-straight day of gains for the S&P 500 (SPX), which is now up nearly 10% from its closing low on Christmas Eve. It’s the first three-day win streak for the SPX since late November, and the SPX has now risen in five of the last six sessions. Still, some analysts remain cautious, noting that emerging markets haven’t shown much spark lately. Some of the so-called “leading indicator” sectors like transports and semiconductors haven’t been able to keep up with the SPX, either (see chart below), and the financial sector didn’t participate in Tuesday’s gains. A turnaround in those sectors might indicate increased hope that a global economic slowdown isn’t imminent. The continued rally this week in crude, now up seven days in a row, does seem to signal some economic optimism. Some of the Street’s strength this week might be more attributable to individual company developments instead of widespread improvement in sentiment. For instance, shares of Union Pacific (NYSE: UNP) had their best day in a decade after the company appointed a new COO and received an analyst upgrade. Shares rose more than 8%. That was a bright spot for a transport sector down 16% over the last three months. Another factor in the rebound this week might simply be recovery from what some investors might have seen as oversold conditions, Briefing.com noted. That said, small-caps—which some economists see as a leading indicator—continued to perform well Tuesday, and some of the FAANGs appear to be back on the prowl amid optimism about China trade negotiations. Amazon.com, Inc. (NASDAQ: AMZN) got a lift this week in part from positive Wall Street analyst chatter about the company. Apple Inc. (NASDAQ: AAPL), whose shares have been battered and bruised for months, showed a bit of its old swagger Tuesday after CEO Tim Cook made some positive comments. Facebook Inc. (NASDAQ: FB) also had a good day. However, shares of AAPL might continue to face pressure if China’s economic data fail to impress. On that note, Samsung Electronics (OTCMKTS: SSNLF) said this week that it expects its quarterly operating profit to fall amid weak demand for chips and heavy smartphone competition. It’s not hard to read between the lines and figure that, like AAPL, Samsung might be catching a cold from China, an important market for its chips. Still, the trade optimism might have been a factor helping stocks like Boeing Co. (NYSE: BA) and Caterpillar Inc. (NYSE: CAT) on Tuesday, as both of those industrial names continue to reflect—at least to some extent—investors’ optimism or pessimism about tariffs. Though earnings season doesn’t get started in a big way until next week, there were murmurs from the earnings front today. 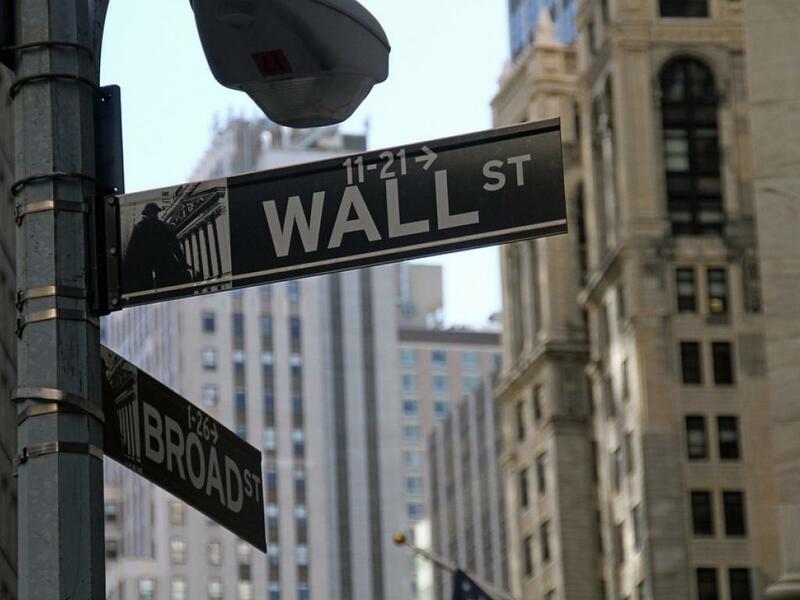 Most notably, homebuilder Lennar Corporation (NYSE: LEN) said its Q4 earnings per share beat Wall Street analysts’ estimates but it missed analysts’ estimates on revenue and new home deliveries. The company said slowing sales had to do with rising mortgage rates and home prices. That probably encapsulates the struggles of the housing industry, and it’s something we might hear more of from other homebuilding companies as earnings continue. Crude continues to show strength, and that’s possibly a good sign for economic growth even if it does give inflation bugs a chance to voice worries. Energy is the greatest contributor to inflation. Still, at just around $50 a barrel, U.S. crude remains on the cheap end of the recent scale, below its levels from most of last year. Anyway, crude has risen seven days in a row, so we’ll see if Wednesday makes it eight. 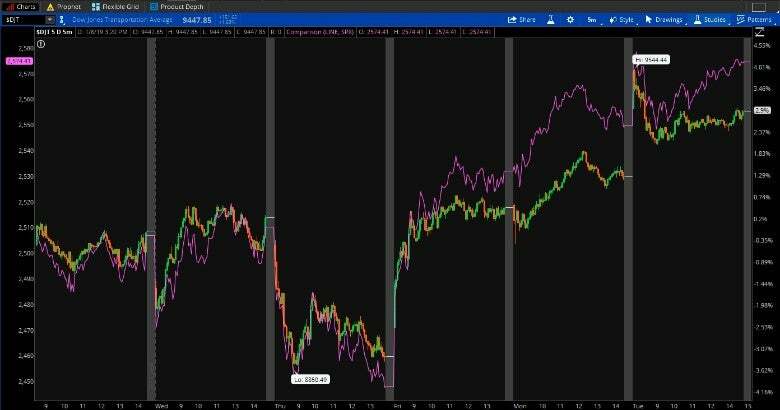 Figure 1: Transports Can’t Keep Pace: The Dow Jones Transportation Average (candlestick) hasn’t been able to gain as quickly as the S&P 500 (purple line) over the last few days, as this five-day chart shows. Transports can be a leading indicator of economic health, so bullish investors might want to watch and see if transports can pull ahead in coming weeks. Data Source: S&P Dow Jones Indices. Chart source: The thinkorswim® platform from TD Ameritrade. For illustrative purposes only. Past performance does not guarantee future results. Don’t Overlook the Small Guy: We don’t often talk about small business in this column. But maybe we should, considering small businesses provide the majority of jobs in the U.S. That’s why the NFIB Small Business Optimism report for December showing that these companies continue to create new positions and seek new applicants could be worth a deeper look. According to the organization, the net percent of owners expecting better business conditions in six months and the percent viewing the current period as a good time to expand have both tapered off since record highs last summer, but remain well above their historical averages. Actual hiring strengthened to the highest reading in six months, job openings are at a record high levels, and plans to create new jobs are down only three points from August’s record high. All this could be good news from a consumer demand standpoint. However, there’s one thing that might trigger some inflation jitters: A record 39% of small business owners reported job openings they could not fill in the current period, the NFIB said. When businesses have trouble finding employees, they sometimes have to dig deeper into their pockets, and the costs can get passed along to consumers in the form of higher prices. Minute by Minute: Some of the volatility this week appears to be based on anticipation ahead of Fed minutes this afternoon. While it could be interesting to read the report and be a fly on the wall at the Fed’s December meeting, it’s questionable how big the market impact might be from the minutes themselves. If the last three Fed minutes releases are any guide, there just hasn’t been too big a reaction on Wall Street. The S&P 500 Index (SPX) fell about one point when minutes were released in August, less than one point when minutes came out in October, and six points when minutes were released in November. While past isn’t necessarily precedent, it seems like at least in late 2018, investors didn’t get too excited by whatever they saw in those Fed minutes reports. That doesn’t mean there never is a reaction. Back in July, the SPX rose more than 20 points after investors saw minutes from the June meeting. However, these reports might lose some of their impact now that all Fed meetings are going to be followed by Fed Chair press conferences. 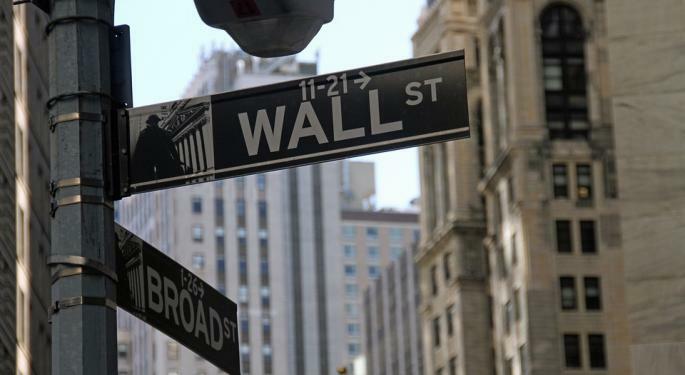 Market, Fed Still at Odds: Recent comments by Fed Chair Jerome Powell seemed to reassure investors that the Fed plans to be patient in its policy. It was lack of that reassurance from Powell that arguably helped send investors fleeing for the exits after the last Fed meeting. However, before feeling too reassured, investors might want to keep in mind that the Fed and the market still seem to be looking at two different scenarios for the year ahead. According to the last Fed “dot plot,” policy makers still anticipate two rate hikes in 2019. The futures market projects two fewer than that. This dichotomy could be a sign of policy makers having more on their minds than simply the weak market action of the last three months. They have to review all aspects of the economy. Consider this: What if the government shutdown gets solved in the near-term and the two U.S. political parties start working in a more bipartisan manner on infrastructure spending? It may sound unlikely, but politicians on both sides have advocated infrastructure spending. At the same time, there’s starting to be more optimism that China and the U.S. can possibly solve some of their issues. Combine that with hourly pay rising 3.2% over the last year, and suddenly you might be looking at some inflation concerns coming back into the picture. If this scenario happens, the Fed could find itself back in a tricky situation of having to consider coming through on those dot plot projections even though the market is looking for steady rates. Stay tuned.